Guys on this page are no taller than I am (6'2") which is why you see the warning below. All of them are professional swimmers except the bodybuilder male model at left. He lives in Spokane Washington and loves powerlifting and bodybuilding. Fabio Scozzoli is an Italian swimmer and there are more photos of him in the previous gallery. Born in 988, on July 25, 20 he won the silver medal at the World Championships in Shanghai in the 00 m breaststroke beaten by Alexander Dale Oen and in front of Cameron van der Burgh, also establishing two Italians records: the semi-final with 59"83 in the final with 59"42. 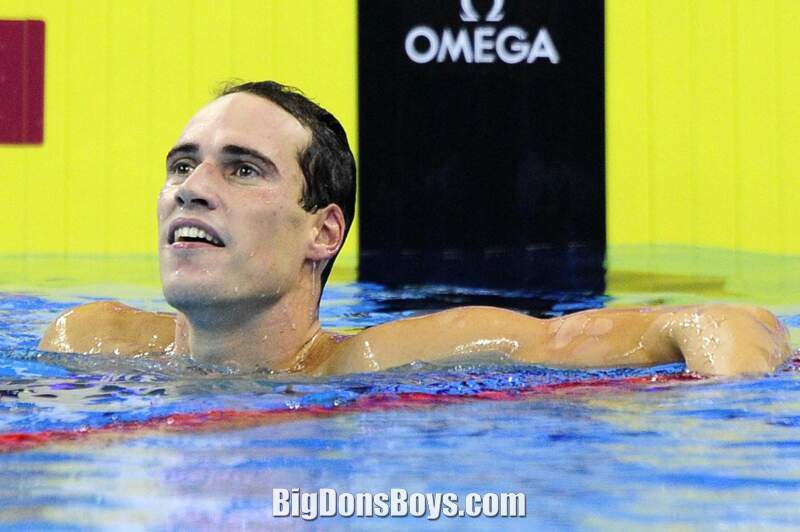 On 27 July 20 has also won the silver medal in the 50m breaststroke, behind Brazilian Felipe França Silva and always before Cameron van der Burgh, also establishing the Italian record with 27"7. On December 3, 202 Scozzoli became the first Italian swimmer ever to win a gold medal in a World Swimming Championships (25m) competition winning on Men's 00 meter breaststroke at Istanbul 202. 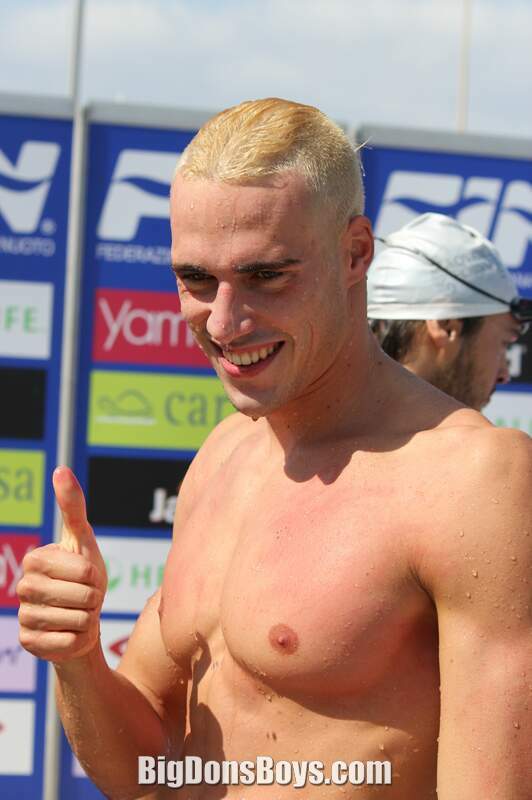 Once back in Italy, the August 4 has improved the primacy of the Italian and European short course 50m breaststroke in, held by Alessandro Terrin, winning the Italian title in summer leagues. 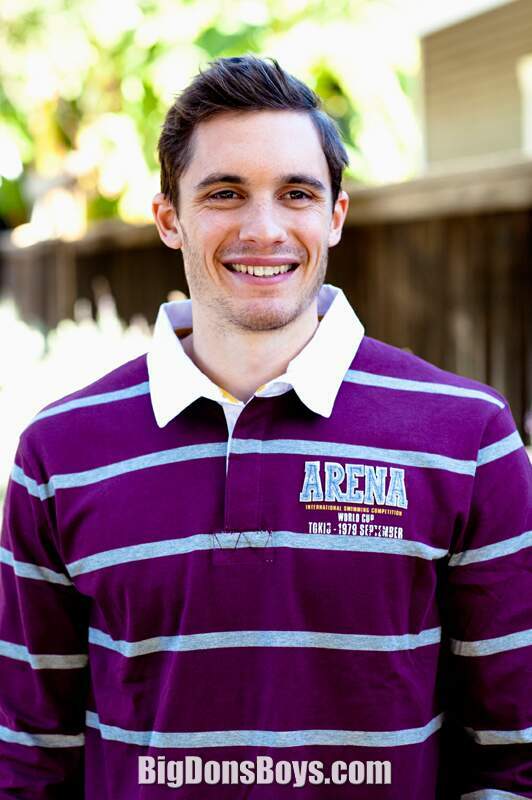 Benjamin Starke (born 1986 in Cottbus, Brandenburg, Germany) is an Olympic swimmer. He swam for Germany at the 2008 Olympics and the 2012 Olympics He has swum for Germany the 2008 and 2012 Olympics, the World Championships of 2005, 2007, and 20 Short Course Worlds in 200. He briefly dated tennis player Sabine Lisicki in 2012. Eric Shanteau (born 1983 in Snellville, Georgia) is an American international swimmer who won two gold medals as a member of winning United States relay teams at the World Championships. 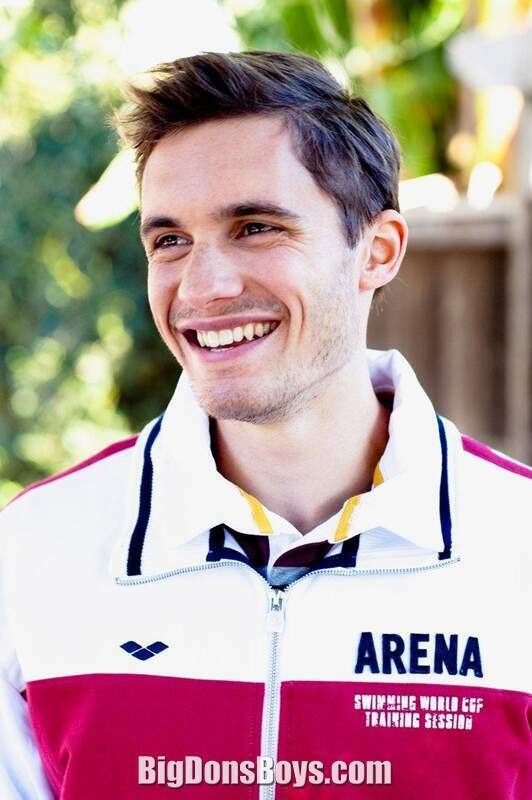 He was a member of the 2008 and 202 United States Olympic teams, and earned a gold medal as a member of the winning U.S. team in the 4x100-meter medley relay at the 2012Summer Olympics in London. 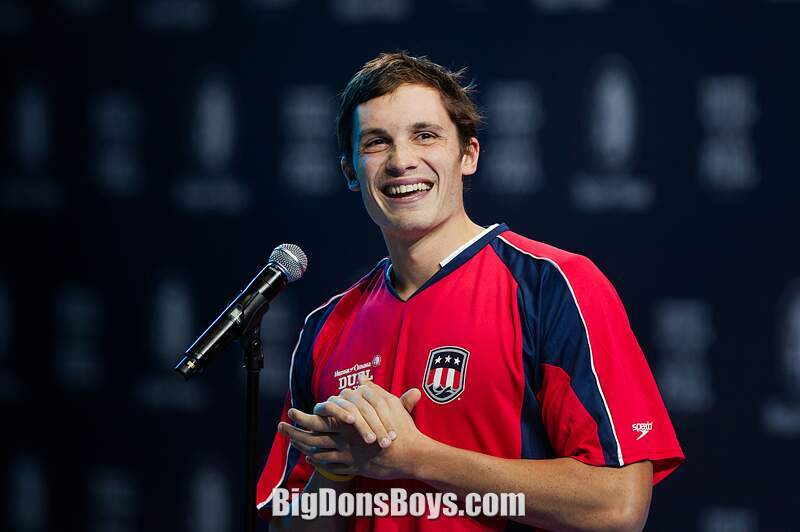 Shanteau also holds the world record as part of the American 4 x 00 meter medley relay that competed at the 2009 FINA World Championship in Rome. 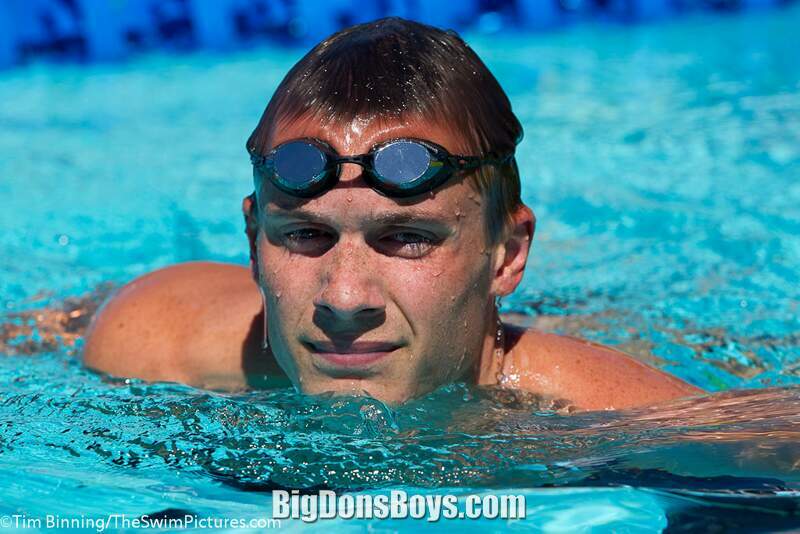 In high school he became a national swimming champ while getting Straight A's in class. He swam collegiately at Auburn University, where he was an -time All American. 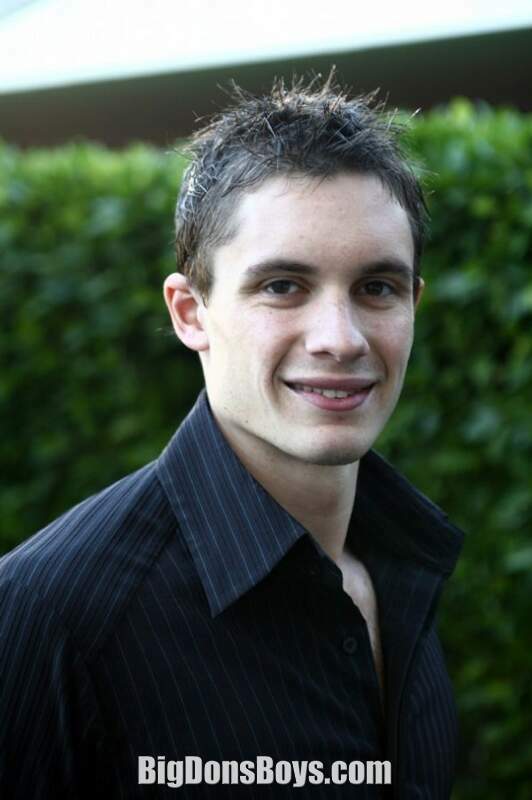 At the 2003 World University Games, Shanteau won the silver medal in the 400-meter individual medley. At the 2005 World University Games, Shanteau won gold in both the 200-meter and 400-meter individual medley, making him the first American to sweep both events. 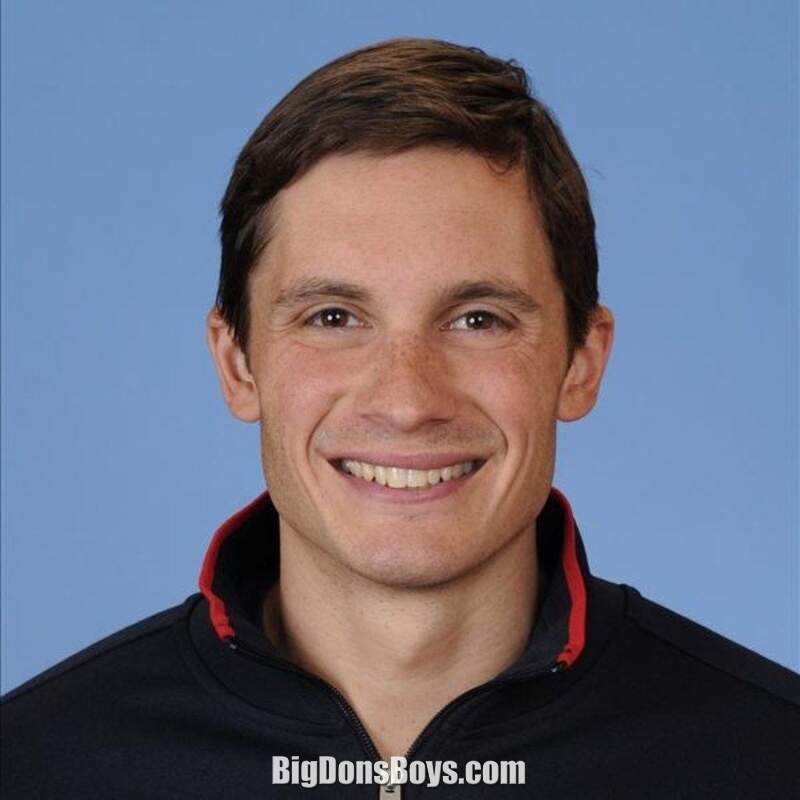 At the 2004 United States Olympic Trials in Long Beach, California, Shanteau placed third in the 200-meter and 400-meter individual medley events, just missing a place on the Olympic roster in both events. 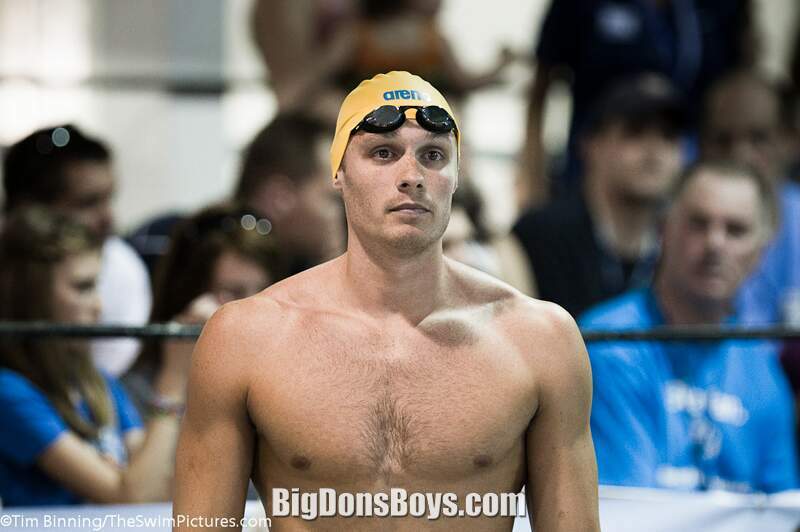 Shanteau also placed eleventh in the 200-meter breaststroke. 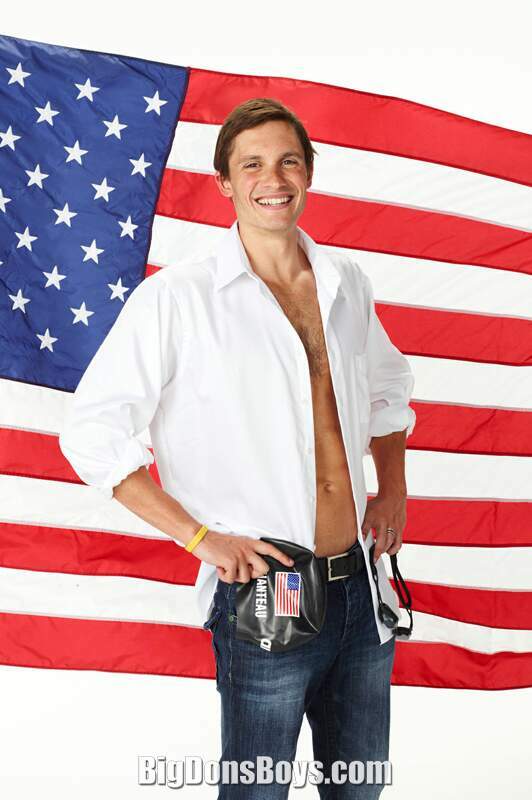 On July 3, 2008, Shanteau placed second in the 200-meter breaststroke at the 2008 U.S. Olympic Swimming Trials, guaranteeing himself a spot on the team set to compete in Beijing, China. The week before, Shanteau was informed that he had testicular cancer, but chose to compete in the meet regardless. He competed in the 200-meter breaststroke at the 2008 Summer Olympics, where, despite missing the finals by thirteen one-hundredths (0.3) of a second, he posted a personal best time. After returning to the United States, he underwent surgery to remove the cancerous testicle. Shanteau is now in remission and active in cancer awareness. at the 2012U.S. 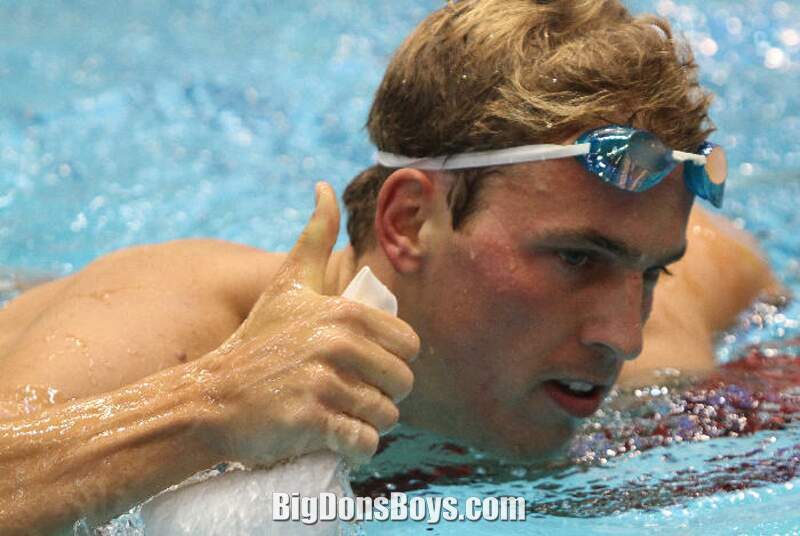 Olympic Trials in Omaha, Nebraska, the qualifying event for the U.S. Olympic team, Shanteau made the U.S. Olympic team by finishing second in the 00-meter breaststroke. at the 2012Summer Olympics in London, he placed fourth in Semifinal 2 of the 00-meter breaststroke and did not advance to the final. He earned a gold medal by swimming the breaststroke leg for the winning U.S. team in the preliminaries of the 4x100-meter medley relay. Davie Nadadores interviews Fabio Scozzoli and asks funny rapid fire questions . 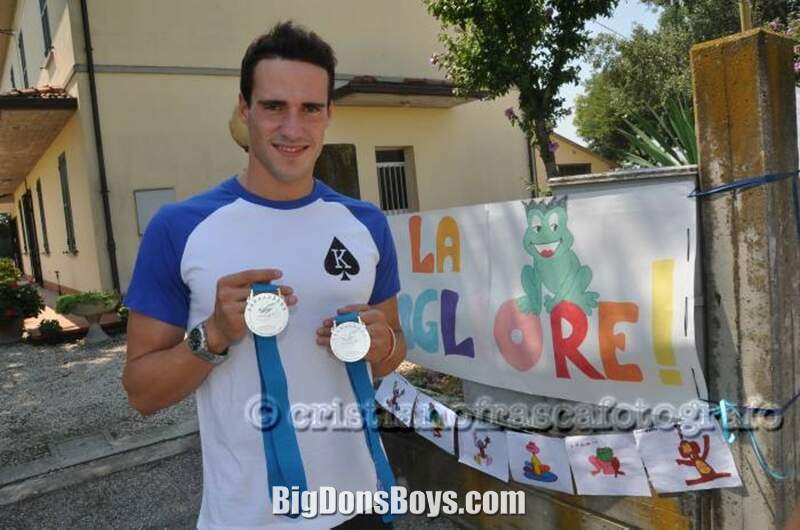 Scozzoli was a silver medalist in the 20 Shanghai World Championships 00 meter breast stroke. Fabio likes The Simpsons better than Family Guy. I much agree. In 2008 John Blackstone spoke with American swimmer Eric Shanteau, who made a controversial decision to delay medical treatment for testicular cancer in order to compete in that year's Olympics.